U.S. LNG to Europe may squeeze out smaller gas suppliers. 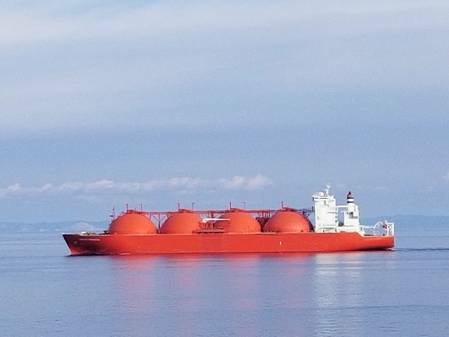 Shipments of U.S. liquefied natural gas (LNG) have gathered pace in March and Europe is set to stay a top destination for spot cargoes with Asian prices still too low to ship the chilled fuel that far. But winter demand for gas is fading, while steady supplies of gas and LNG have kept inventories well stocked, depressing European gas hub prices. This has raised the question: how many more cargoes can Europe absorb? Suppliers of U.S. LNG have loaded 14 cargoes so far in March, setting a faster pace than February when 29 cargoes were loaded in the whole month as storms and maintenance hampered output. Asia remains the leading destination for cargoes shipped under long-term LNG supply contracts. But Europe and Mexico are, for now, more attractive destinations for spot cargoes. European gas hub prices trade at a discount to Asian spot prices, but the discount needs to be more than $1 per million British thermal units (mmBtu) to cover the cost of shipping the fuel the extra distance to Asia from the U.S. Atlantic coast. The Dutch gas price, the benchmark for West European prices, was about $5.60 per mmBtu on Thursday, compared to about $5.80 for a spot cargo of LNG in Asia. Netbacks, a calculation showing how much LNG sellers can get for their cargo at various destination points, also show that Britain and other European destinations have become more attractive markets than Japan and other Asian destinations. For Mexico, spot LNG fills the gas shortfall resulting from pipeline constraints. As a neighbour to the United States, LNG shipping costs are also low. Some LNG traders have said the arbitrage to Asia will remain closed until at least September, when Asian demand typically picks up due to the need to restock inventories before winter. The spread between the Asian JKM forward curve and Dutch gas hub prices is not expected to exceed $1 per mmBtu until August. With arbitrage to Asia closed for now, U.S. cargoes headed to Europe could start squeezing smaller suppliers. U.S. LNG output is expected to double to more 40 million tonnes this year, according to consultancy Wood Mackenzie, turning the country into the world's third largest LNG producer. Gas from Europe's biggest suppliers delivered by pipeline overshadow LNG imports, from all origins including the United States, that amounted to 54 million tonnes last year. Russia exported record gas flows to Europe in 2018 of 200 billion cubic metres (bcm), equating to 145 million tonnes of LNG, while Norway's flows amounted to 116 bcm, or 84 million tonnes. But Algerian pipeline gas to Europe fell almost 40 percent in February compared with a year earlier. Consumption last month was just over 800 gigawatt hours per day (GWH/d), the equivalent of 1.5 million tonnes. Dutch supplies are also falling, as the Netherlands shuts its Groningen field by 2030. Output is expected to fall to 15.9 bcm, or 11.5 million tonnes, in the year ending October 2020, a faster decline than planned. Despite the potential to replace some pipeline supplies, inflows of LNG has already weighed heavily on prices. Dutch and British gas prices have halved since their late September peaks. At such depressed price levels, European power suppliers are expected to favour taking electricity from generators using gas rather than coal as a feedstock, creating an additional driver for gas demand. Dutch forwards gas prices are unlikely to rise enough to encourage suppliers to switch back to coal-fired generation until the end of September, according to Refinitiv data price curves.